While you are still pregnant, it is best to discuss your breastfeeding decision with your boss. “Many mothers who return to work abandon breastfeeding partially or completely because they do not have sufficient time, or a place to breastfeed, express and store their milk. Mothers need a safe, clean and private place in or near their workplace to continue breastfeeding. Enabling conditions at work, such as paid maternity leave, part-time work arrangements, on-site crèches, facilities for expressing and storing breast milk, and breastfeeding breaks, can help. Click here to find out more. Most breastfeeding mothers dread coming back to work especially when they think about how they can continue breastfeeding their baby. Aside from the separation anxiety, the added chores with having a baby at home, lack of sleep, and the physical and mental toll it takes for a woman to continue being mindful about pumping can be stressful. Technically, there are laws protecting the breastfeeding mother at work about break time and expressing milk. However, laws can only take you so far. It feels much easier to work with people if they truly support your decision instead of simply following the law. There is also the fear of what if my boss doesn’t want me to pump? Well, first you have to address your boss’ concerns. Why wouldn’t he want you to pump or continue breastfeeding? 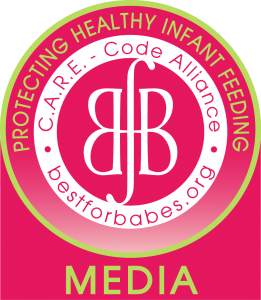 Let your boss know that breastfeeding protects the infant from common childhood illnesses because it contains antibodies. When a child is sick, the mother will most likely go on leave. Breastfeeding actually results in less work absence for the mothers. If the boss is thinking that you will not be 100% on your work, show him otherwise. Show him that though you may be pumping every 3 hours, those 3 hours are good quality work. Let your boss know that you want to stay committed to work but at the same time commit to a pumping schedule. Bosses usually become hesitant because they feel that you won’t be on your A-game as a pumping mom but, if you talk to them in a calm and straightforward manner with reassurance from you, they can actually be your best ally. Follow up your verbal assurance with actual A-game output while you are still pregnant. If you were the type who was sick a lot during pregnancy, just keep the communication lines open. SO WHEN DO YOU ACTUALLY COME BACK? Come back in the middle of the week. No matter how much preparation you’ve made, there will always be those unforeseeable circumstances that we can’t seem to control. From baby care, to sudden change in office environment, coming back to work midweek makes uncontrollable aspects easier to manage since the weekend will be coming up sooner. You will be in a deep hole if you start on a Monday and everything that you have planned doesn’t work out. Sometimes, it may demand sacrifice. For example, if you count the number of days of your maternity leave, you find out that you don’t need to come back to work until a Monday. Instead, plan to come back to work on the Thursday before that. You can ask your boss if they can just pretend that you are not there because you are technically practicing your routine. Say it in such a way that your boss gets the message that you want to be fully prepared when you actually come back to work the next week. This also shows your commitment to your work. Prepare a stash at least for the first 2 days that you will be at work. Since you will also be with your baby while collecting a stash, expect that it will take some time to collect. Try to make a target of at least 1-2 ounces of milk a day. If you start 3 weeks before coming back to work, that will already yield 21-42 ounces of milk. That would actually be enough for 1-3 days, depending on how long you will be away from your baby. You can pump one breast while the baby is feeding on one side, or you can pump after the baby has fed. Don’t be discouraged if you only get small amounts during each session. You can always put together milk that you have pumped over the course of the day in one container, after they have reached the same temperature. 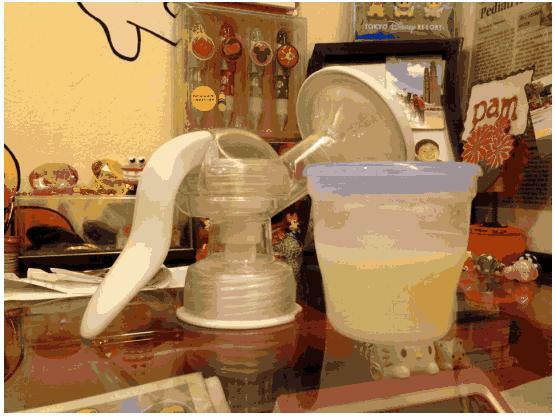 YOUR PUMPING PARAPHERNALIA – YOUR BREASTFRIEND! Make sure you have a trusted pump with you. Though many give advice about using a double electric pump which can pump both breasts at the same time with ease, not all mothers respond to it. Whether you respond to a manual pump more or you prefer hand expression is up to you. These guidelines are for healthy, full-term babies. Remember to wash your hands before expressing and ensure that all parts of the pump that will be touching the milk have been washed with hot, soapy, water, rinsed. Please check your manual for specific instructions as some parts may have to be cleaned in a specific way. You only need to sterilize your pump once a day. You may wash your pump and sterilize it the night before. In between pumping sessions, you need to keep your pump in the refrigerator. There’s no need to wash the pump in between as the anti-bacterial property of your breast milk will keep it clean for the rest of day. Most likely, you will be sharing the fridge with co-workers. Occasional spills can happen and you want to protect your pumping gear. When bringing your pump to work, it is advisable that you put all your pumping gear in a container that you can seal so that the pump parts will not be contaminated. After you use it, just put everything in your container and put the entire container in the refrigerator. Refrigerate your milk after pumping. If you will be pumping for the second or third time, make sure that you don’t mix the freshly pumped milk with the milk that has been cooled earlier. Just put the expressed milk (2nd time) in a second bottle. Before getting ready to pump a third time, you can mix the first 2 bottles as they have most likely reached the same temperature by then. Store the milk bottles inside a sealed container as well. Just the same, you wouldn’t want anyone to mistake it as common milk that can be shared with others. 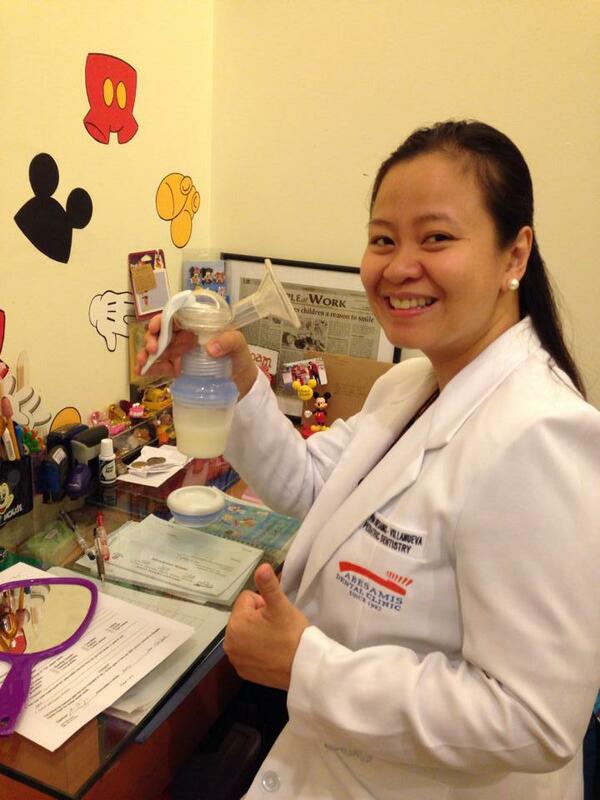 If you are pumping milk for the consumption the next day, it is best to just refrigerate it instead of freezing it. Freezing destroys parts of the milk that fight infection. It can be stored at room temperature (up to 78 F or 26 C) for up to 4 hours. In the refrigerator, store with temperature not going above 4 C or 39 F. If you are in a warmer climate and the door is opened and closed many times, it’s best to keep it only for 24 hours. If you live in a colder region or if the ref is closed most of the time, it can be kept up to 3 days. In the freezer, with temperature not going above -18 C or 0.4 F, it can be kept 3-6 months. Always keep the milk away from the door so that it will not be subjected to fluctuating temperatures. After the milk has thawed, it has to be consumed within 24 hours. The best way to thaw milk is to bring the frozen milk TO the refrigerator overnight. For faster defrosting, run cool water over it first and then follow it with warm running water. You can also have warm water in a bowl then place the bottle in the warm water. This is the best way to warm the milk whether it has been frozen or refrigerated. Just remember to wipe the bottle dry before opening the bottle for pouring. Never heat it in a pan or microwave. Make sure that you can leave the baby with someone you trust. The person must be responsible enough to understand the guidelines on how to prepare and administer the milk that you have worked so hard for. Remember to have a good breakfast in the morning. Feed your baby during the last 30 minutes before you leave the house. Assuming that it takes approximately an hour for you to get to work, you can still work 2 solid hours before you take a break to pump. If you are allowed a flexible lunch schedule, I suggest that you take a working snack at your desk right after pumping and work out a lunch break at 1:00pm. You may squeeze a pumping session after a 30 minute lunch. You may have another pumping schedule by 4:30 and depends on how much more time you need to work, that may actually be your last pumping session. It is best to be open about your pumping schedule not just to your boss but especially with your co-workers. Remember to work with them because they will be your partners in your breastfeeding journey. They can support you by avoiding your pumping schedule when it comes to scheduling meetings and notifying you in advance about work related issues knowing that you might be away in an hour or so to pump. Try to time your child’s feeding at home such that your child will be hungry by that time you get home. These sweet reunions will be the best part of your day. Believe that you will have enough milk for your baby. Be thankful for whatever milk you get. The goal is commitment. Commit to a pumping schedule and commit to good work ethics when at work. ← Are your children properly restrained in their carseats? doing it at work isnt a prob any more i just got out of the army how do i find time to do with with and 8 year old a verrrrrrry hyper 2 year old and just getting back to breast feeding and pumping after not being able to for a month do to meds i was on. i need and want to feed my 6month old. I work at a fast food place and only get a 30 min break with no time for pumping at work. What should i do?